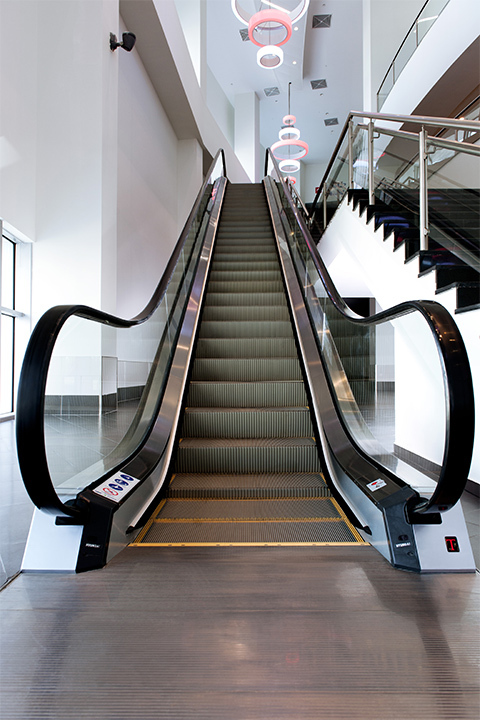 Escalators are one of the most important instruments utilized in indoor circulation and pedestrian traffic management. Our expertly designed products guarantee economical, safe and comfortable transportation. Our outdoor escalators are resistant to severe weather conditions like rainstorms and heavy snow. User safety is our priority. The sensors inside, make sure the escalator stops at the risk of danger and control room is immediately notified. Our products are equipped with fire sensitive cable lines and sprinkler extinguishing systems. The elegant design of our indoor and outdoor escalators provide an aesthetic touch for major projects like shopping malls, hotels, stores, banks and office buildings.